Thank you for contacting us. Ryan Newbauer will be in contact with you shortly. Welcome to Piano Lessons 123. We specialize in piano from advanced technique to high level music theory and composition. Our goal is to provide fully cutomizable lessons, which are tailored specifically to each student. Lessons are intended to be a multifaceted learning experience, which is both fun and engaging. 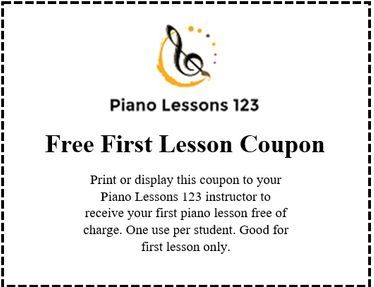 Lessons vary depending on interest and ability; however, we are able and ready to teach anything from basic to advanced piano technique, music theory and composition, musical performance skills, and basic ear training. While teaching, we not only instruct the rudiments of piano to students, but allow them to develop their own unique style and musical taste. As a pianist, Ryan Newbauer's performances can range from simple celebrations, to formal, on-stage concerts. The eras of music Ryan plays, consists of classical, transitional, Romantic, and modern. His modern repertoire is composed of works by Scott Joplin, George Gershwin, Hoagy Carmichael, Glenn Miller, Benny Goodman, W.C. Handy, Clint Mansel, Chicago, Five for Fighting, and many more. In addition, he also has a number of original compositions. Ryan's diverse musical taste is reflected in his teaching style, which goes far beyond traditional piano lessons, and emphasizes general music appreciation and understanding.